In this file photo, Toyota cars are offered for sale at a car dealership on December 22, 2008. Toyota Motor Corp. stock fell 2 percent in early Friday morning trading after President-elect Donald Trump said on Twitter that the Japanese automaker faces a "big border tax" if it goes ahead with plans on a new Mexico plant. Toyota in Japan had no further comments beyond what it released in the U.S., which did not directly address Trump's tweet but stressed that Toyota has been in the U.S. for six decades and that the Mexico plant will not affect jobs or production in the U.S.
Toyota President Akio Toyoda made similar comments at a New Year's gathering for auto businesses at a Tokyo hotel, saying the company wants to be a "good corporate citizen" and make "America strong." Sentiments have been upbeat in the Japanese auto industry lately because of the weak yen and the Tokyo benchmark's rise following the U.S. election. Honda President Takahiro Hachigo, who was also at the reception, told reporters there were no planned production changes in Mexico. Overnight, Trump's tweet criticized Toyota's plans to build the popular Corolla subcompact at a planned Mexico plant, tweeting: "NO WAY! Build plant in U.S. or pay big border tax." Toyoda was asked about the Trump administration Thursday, ahead of the tweet. "I would like to make it an opportunity for us," Toyoda said in answer to a reporter's question. "I don't know yet exactly how, but, regardless of who becomes president, our business is about being good corporate citizens. And by becoming good corporate citizens, we are facing the same goal of making America strong. And so we will continue to do our best." When asked if he had any plans to meet with Trump, as did Softbank Corp. Chief Masayoshi Son, to try to gain Trump's understanding, he pointed to the crowd at the reception. "I am not in such a position," said Toyoda. "The auto industry is widespread, being supported by many people, including suppliers, materials-makers and after-service businesses. It is important we all be together in whatever we do." 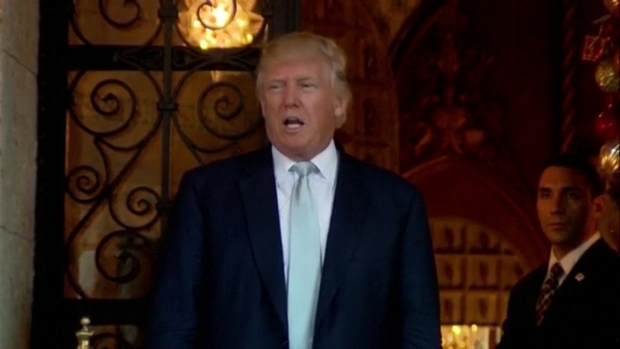 President-elect Donald Trump claimed Wednesday that Sprint is moving 5,000 jobs back into the United States in an announcement from the steps of his estate in Palm Beach, Florida. The deal is part of a larger commitment by Japanese telecom corporation SoftBank, which promised to invest $50 billion in the U.S. and create 50,000 jobs after a private meeting with Trump in December, The Wall Street Journal reported. A Sprint spokesperson told NBC News the jobs announced by Trump on Wednesday are part of that earlier commitment, but that the 5,000 jobs will be funded by Sprint, not SoftBank. Trump's tweet on Toyota echoed those targeted at Ford Motor Co. and General Motors Co. Nearly all automakers build small cars in Mexico to take advantage of lower wages. 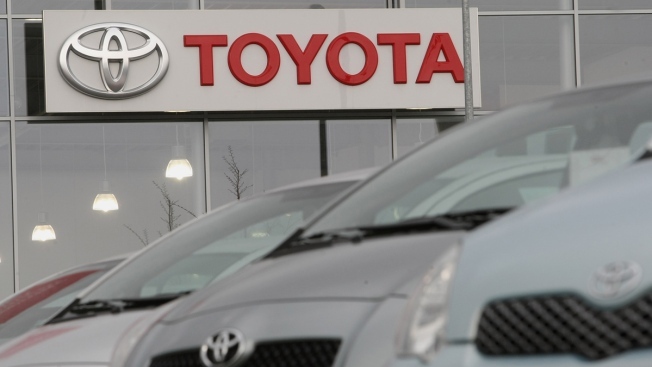 Toyota said it has invested over $21.9 billion in its U.S. operations, including 10 manufacturing facilities, 1,500 dealerships and 136,000 employees. It said it has made considerable expansions in the U.S., creating American jobs, and had produced 25 million vehicles in the U.S. over the last 30 years. "Toyota looks forward to collaborating with the Trump administration to serve in the best interests of consumers and the automotive industry," the company said in a statement.